Meditation is an often misunderstood practice. Many believe that to meditate means to empty your mind, but the scriptures teach that the opposite is true. Meditation is about filling your mind with the right thing to bring about increased holiness. But how do we meditate on the word of God? The purpose of meditation is the key to its practice. The purpose of God is for us to be conformed to the image of the Son of God (Rom 8:29). Meditation makes us careful to obey what is written in the word of God (Josh 1:8). So meditation is just thinking carefully about how the word of God applies to my soul. Indeed, since the Hebrew word “meditate” means to mutter under one’s breath, we could further explain it as “letting the word of God Christ dwell in you richly” (Col 3:16). With this in mind, meditation depends upon two core elements. It requires the right heart, and it requires memorization. These two things are necessary because meditation happens both inside and outside of the quiet time. In this article, we’ll consider the right heart for meditation. Meditation is a discipline, but it is a simple discipline. Every human being has ruminated over words spoken by someone else. We meditate in numerous ways. Someone says something sharp or cutting, and we turn it over in our mind, often becoming angry or upset as a result (though often without justification). Perhaps you’ve had the words of a song stuck in your mind. Singing is a form of meditation, which points back to the importance of biblical music and hymns. Songs and hymns are also noted in Col 3:16 for this reason. We need firstly to be willing to listen to what the Bible says and understand it in accordance with what the original authors (human and divine) intended. Often we think we know what the Bible says, but we so quickly gloss over words and phrases, especially if they are familiar. This familiarity leads us to miss the depth of meaning invested in the words. For this reason, meditation listens not merely to the paragraph of text, but to every word of the text (Matt 4:4, Deut 8:3). To meditate on the word of God requires that we be willing to submit to what we read in it. Submission begins by recognizing the authority of the authors (both human and divine), then we submit to their authority. We submit to the divine author because He is our creator and has acquired our salvation at personal cost. We submit to the human author because he was appointed, shaped and superintended by the divine author. The human author was moved by the Holy Spirit and “spoke from God” (2 Pet 1:20-21). Therefore He has authority. Submission means holding our preconceived theological ideas loosely while we listen carefully to the truth of the word of God. It also means submitting what we think is important to what God thinks is important. If we’re listening carefully and submissively to what the Lord says, we must be honest with ourselves and the Lord about what we find He says about us, the world and Himself. Honesty is the most difficult element of meditation, and it is the bridge between listening and changing. Honesty opens the doorway to application and obedience. When we listen submissively and are honest with ourselves and the Lord, we can determine to grow in obedience. Obedience requires us to think, feel and act differently. To act differently requires that we consciously recognize that the way we think feel and act is wrong and to change our minds about it. Then we can work to conform ourselves to the image of Christ, in dependence upon the Holy Spirit to complete our efforts. An obedient heart means we need to resolve to replace faulty thinking with biblical thoughts, put aside evil and corrupt desires and to adopt godly desires as our own and to choose to do what is right rather than whatever we normally do. Meditation requires that we think carefully about the word of God. In our quiet time we need to let the words we read in scripture soak in. Meditation takes time and intentionality. We need to mull over the events we read about, the desires at work, the actions of people. We need to consider the response of God, and we must evaluate our own heart, honestly measuring ourselves against these things so that we see ourselves clearly and respond obediently. Meditation extends beyond the quiet time as we continue meditating on the word of God throughout the day. In my experience, the reason we don’t meditate is not that we don’t know how, it’s more often that we don’t take the time, or we have the wrong heart. 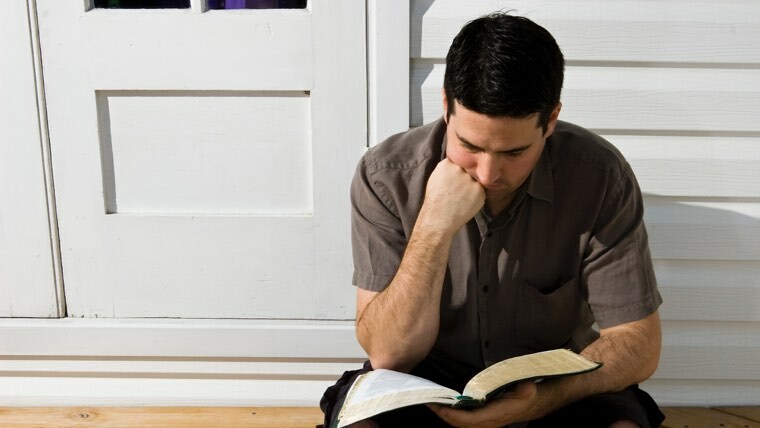 Even if your quiet time is short, take some time to consider carefully how your thoughts, affections, and actions relate to your Bible reading. Be honest and respond in obedience, and you’ll grow in holiness and joy.